Members of the state legislature are making rounds to address the upcoming redistricting in 2012. Several gathered early Wednesday evening at Fiedler Hall on Kansas State’s campus including members from both Republican and Democratic parties. Mike O’Neal, State House Representative from the 104th District and Chairman of Congressional Redistricting, gives KMAN the statistics from the 2010 Census that play an important role in the redistricting process. The Big First District neads to gain nearly 58,000 for an ideal number, the third district needs to lose about 54,000, the second district is 3,200 under ideal with the fourth district 6,900 over ideal numbers. O’Neal says several local politicians want the congressional district to remain the same. Redistricting talks will resume on August 2nd in Chanute and Pittsburg. 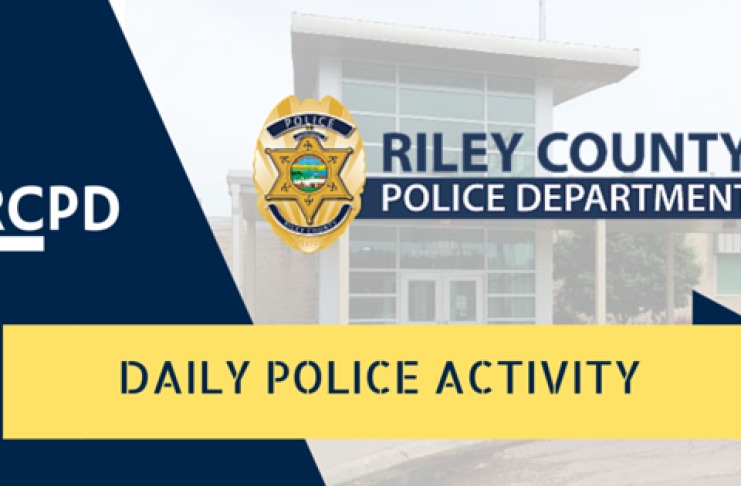 Several local politicians were in attendance including members of a task force representing Riley County. Democratic Party representative Kathryn Focke talks about a meeting with Manhattan Chamber of Commerce involving both Democratic and Republican parties prior to the Redistricting meeting held on Wednesday at Fiedler Hall. State government officials discussed previous meetings around the state, including one of those meetings in which they listened to a presentation that wanted the Manhattan area to put in the First Congressional District. 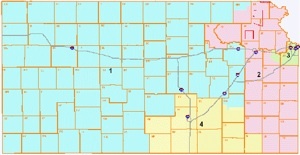 For more information on the redistricting process, you can visit Redistricting.KS.GOV.